On Tuesday 26th June 2018, Lumen Christi College’s Latin Club graciously hosted Amber Taylor representing the Classical Association in Northern Ireland for a presentation entitled The Aeneid, Book VI, A Journey through the Underworld. After an initial discussion of what the Aeneid was, who its author Virgil was and what happened in the story prior to Aeneas entering the Underworld engaged, an excited group of 20 post-primary school pupils listened intently to the tale of the epic hero Aeneas’ descent into the Underworld, alongside the Cumaean Sybil to seek out the ghost of his father Anchises and the advice that he would give to him. Not only did the presentation of a particular book of Virgil’s Aeneid offer the chance to explore the dark and twisted geography of the Underworld as well as its terrifying monsters (e.g. harpies, gorgons and hydras) but it also gave the opportunity to explore themes and stories perhaps not explored in the epic itself. Death is of course the most prominent theme and Virgil explores this in various ways. Through Book VI we see a κατάβασις (katabasis), a ‘going down’ to the Underworld and so the presentation was able to side track for a short time and explore those who have entered Dis aside from Aeneas, such as Hercules during his 12th labour and Orpheus to rescue Eurydice. Ways in which one can die were also explored with Dido, having committed suicide at the loss her lover Aeneas, now forever roaming the Fields of Mourning; those who have died before their time and those who are eternally damned to torture for their sins in Tartarus. Of course, when Aeneas finally reaches his father he is told the truth of his future – he will come to begin the lineage that will be the founders of Rome, the greatest empire in the entire world (as Virgil likes to point out!). As Anchises points out the future rulers of Rome, Virgil’s voice sings loud throughout the passage, praising Rome for its glory and triumphs as well as the line of Caesars, especially Augustus himself, who was emperor around the time the Aeneid was written. A question and answer session at the end prompted some really intriguing questions from the pupils of Lumen Christi, showing their enthusiasm and engagement for Classics such as “Why did Virgil base The Aeneid on both The Odyssey and The Iliad, rather than one?”. As well, a pop quiz ensured all went away with some sweets to kick off the start of Summer (and hopefully encourage their outlook on Classics!). Lumen Christi’s Latin Club teacher, Miss Ava Wilson had this to say about the talk; “Lumen Christi College was delighted to welcome Miss Amber Taylor to speak to pupils about various translations of ‘The Aeneid, Book VI’ on Tuesday 26th June. The event was attended by around 20 pupils from both Key Stage 3 and Key Stage 4. It is safe to say that all became thoroughly engaged with Miss Taylor’s lecture, expressing interest in all aspects of the material covered, including the riveting plot of the epic, the geography of the mythological Underworld, the dramatic value of the text – even the Latin of the original and the nuances of Seamus Heaney’s translation. Miss Taylor really got the group engaged with the Latin of the original text, pointing out and explaining the significance of individual words. The pupils seemed to really enjoy this, and, for those who have studied some of the language, it gave them the opportunity to see the kind of level their efforts could lead to! The pupils seemed to really enjoy seeing how the material related to pop culture and other myths. I think the inclusion of such references helped make the material more accessible to them. The success of the quiz at the end stands as testimony to both the level of interest shown by pupils and the effectiveness of Miss Taylor’s lecture – the prizes went rather quickly! This definitely generated an interest among pupils who were new to the subject. I would like to thank the Classical Association of Northern Ireland for this wonderful opportunity and, in particular, Miss Amber Taylor for her interesting and engaging presentation.” (Ava Wilson). Once again, the Classical Association would like to thank Miss Ava Wilson for organising the event and for helping make it such an enjoyable day for all involved. As well, we at CANI would like to extend our thanks to Lumen Christi College for once again allowing us into their school and letting us explore the Classics with their pupils. On Friday 24th February, Dr John Curran and Dr Peter Crawford visited Lumen Christi College in Derry/Londonderry on behalf of the Classical Association in Northern Ireland. They delivered a very informative and engaging talk entitled “20 Things Every Latin Student Should Know About Ancient Rome” to members of the Lumen Christi College Latin Club, other interested students, and senior staff. There was an impressive turnout of approximately 20 students and senior staff for this much-anticipated event. The speakers then moved on to discuss the concept of ‘paterfamilias’ and the patriarchal nature of Roman society. Dr Curran and Dr Crawford successfully explained this difficult concept in a manner that was relevant and appropriate to the age range of the students present by drawing comparisons between the power structure of Roman families and the royal families of Europe. All in attendance have expressed their appreciation and enjoyment of the event, and the students in particular expressed that they felt inspired and informed by the presentation. I would like express my gratitude to Dr Peter Crawford and Dr John Curran for devoting their time and expertise to come to Lumen Christi College and deliver such an informative and engaging presentation. Furthermore, I would like to thank the Classical Association in Northern Ireland for making such events possible across Northern Ireland, work that is both enriching and inspiring. I look forward to many such events in the future. CANI would like to express our own thanks to Lumen Christi College, the Latin Club and in particular Ava Wilson for inviting us to speak. It was for this kind of event that CANI was originally formed, and with so many enthusiastic pupils attending and asking questions, it is clear that interest in the Ancient World is alive and thriving in Northern Ireland. The Open University and the Classical Association in Northern Ireland were extremely proud to host their joint Greek Tragedy and Epic for Schools event in Queen’s University, Belfast. From how the “vested emotional interest” in Greek myth is perhaps best displayed today in ‘fan-fiction’ through the terrible opening night of Phrynichus’ The Capture of Miletus to Alfred Hitchcock’s film-making advice for adding suspense to an otherwise boring conversation by putting a ticking time-bomb under the table, Dr Swift presented the “familiar but flexible” nature of Greek myth. Dr Swift highlighted how receptions of the title character in Sophocles’ play Antigone and her opponent Creon can change. Most appropriately given the surroundings, it was the adaptation of Seamus Heaney that drew much attention, in particular his depiction of Creon, the seeming “ideal politician” who slides into paranoid tyranny under the guise of patriotism – an ancient rendition of George W Bush and the Patriot Act: the corruption of power at work once more. Dr William Allan (University College, Oxford) followed up with a look at the frequently unheroic Homeric Hero, ranging from Achilles the “touchy psychopath,” the honourable death-seeking Hector, the Cyclopean cheese-stealing Odysseus to the modern day Batman vs Superman. Dr Allan demonstrated that the hero of Homeric tradition could not only fight well but could be expected to speak and think well, but with the proviso that Greek heroes were and indeed are only interesting when they failed to live up to these ideals. For every glorious victory in combat, tremendous feat of endurance or skill, eloquent speech or ingenious Trojan Horse plot, there was a less than heroic catastrophe – Achilles got his friends killed through his own haughty stubbornness; Hector doomed his own city through his need for a gory, honourable death; Odysseus, for all his smarts, got many of his men killed through his own stupidity and selfishness while Batman and Superman went to war over a misunderstanding that would have been simply fixed through a brief conversation. 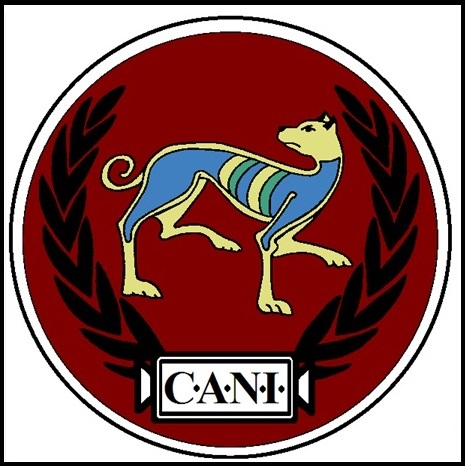 We at CANI were thrilled by the numbers of schools represented in the audience, all keen to bolster their knowledge and understanding of tragedy and epic poetry by listening to and conversing with two such prominent classicists as our speakers. It demonstrates that interest in the Classics continues to be strong across Northern Ireland and beyond. As Dr Curran said in his introduction to the event, this was kind of event encapsulated the two main raisons d’être of the Classical Association in Northern Ireland – promoting the Classics and providing help to schools, so for so many to show their interest by attending is a great boon to the aims of CANI. CANI would also like to thank not just Dr Swift and Dr Allan for taking the time out of their busy schedules to travel to our shores to present their excellent, thought-provoking talks and to all the attendees for making the event such a success, but also Janice Holmes, Jennifer Shepherd and the Open University in Ireland who did so much to make this great event happen. Natural Causes, Murder or Something Else? This booklet focused on the last century of the Roman Empire in the west and the affect that barbarian invasion had on its downfall. By using primary sources – monuments, coins and quotations – and a few later pieces of art – the period is reconstructed in an informative and entertaining way. · The introductory section provides a Historical Outline of the period, while a Source Criticism gives a brief breakdown of the literary sources used from Ammianus to Zosimus. These are presented with advice as to how they should be treated. · The topic is then broken up into distinct periods within that century. These are then subdivided into sections about specific events or people such as Adrianople, the Sack of Rome, Attila the Hun etc. · Accompanying each quotation and image is a brief Interpretation section, to encourage the student to question whether or not what they are being told in the source is a reliable depiction of its subject. · Further Reading bibliography for those students and teachers who want even more depth. This entry was posted in CANI4Schools: Events and Resources.